35 years, 2 months, 10 days old age. Vinay Kumar will turn 36 on 12 February, 2020. Only 9 months, 20 days, 18 hours, 23 minutes has left for his next birthday. Vinay Kumar has celebrated the total number of 35 birthdays till date. See the analysis by days count and bar graph. 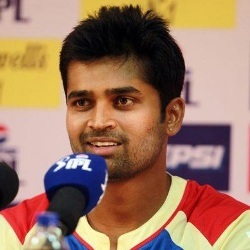 Vinay Kumar was born on 12th February 1984, in Davanagere, Karnataka. His full name is Ranganath Vinay Kumar. He is a phenomenal Indian cricket player who has played in all the three formats for India. He has studied from a government school and graduated with Bachelor of Commerce degree. He is also known as the "Devanagere Express". His bowling style is Right-arm medium and he takes only a short run up. He made his debut against Bengal while representing Karnataka in 2004-05 Ranji Trophy matches. He came to be known only after he managed to become the second highest wicket-taker in 2007-08 Ranji Trophy matches. In 2009-10 season, he was even awarded the highest wicket-taker award. In IPL, Royal Challengers Bangalore signed him in 2008. He has had an opportunity to play with a number of experienced players as he has also played for Kochi Tuskers Kerala, Kolkata Knight Riders and even Mumbai Indians for whom he is playing even now. He has been RCB’s leading wicket-taker for two seasons consecutively (2012-2013). He has also done very great in the Vijay Hazare Trophy. Not only with the bowl but this man is multi-talented and is also very good with his bat. He is a Right handed Batsman. He made his twenty-twenty debut against Sri Lanka during ICC World Cup Twenty 20 in 2010 held in West Indies. In May 2010, he made his debut in the ODI format against Zimbabwe at Harare. He made his test debut during the 2011-12 India’s tour of Australia during the third test. He was born to an autorickshaw driver Ranganath Kumar & Soubhagya. He has a sister named Vinutha Kumari who is working as an anchor at Doordarshan. He is married on Richa Singh on 29-11-2013.